WANT TO START YOUR FAMILY HISTORY? 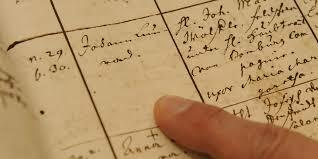 WANT TO TRACE YOUR FAMILY HISTORY? DO NOT HAVE THE TIME? If the records all exist we can normally take you back to the early 1800's/late 1700's with census returns, birth marriage & death information and more. Find out where you come from - you may be surprised! Find out what your ancestors did for a living and how they survived.